Successful candidates are expected to manage the Long Term Research Program Urnfield Culture Networks and prove adequate experience in a similar position. They are equally expected to establish vigorous research programs and to collaborate closely with research groups at OREA and European Universities and research units, as well as to broaden or complement the existing research activities. Candidates should have experience in successful acquisition of third party funded research projects and implementation and accomplishment of the same at a university or comparable research institution. A successful candidate will be responsible for the scientific performance of the research group and its members and the financial and structural conduct of the research group. The support and training of young scholars, supervision of graduating students and the supervision and support of their scientific input to the group’s overall aims is part of the candidate’s portfolio. An active publication strategy is implicit. 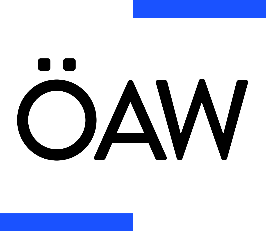 Applicants are invited to send their application documents via e-mail as pdf attachments to the managing director of the Institute Oriental and European Archaeology, Prof. Dr. Barbara Horejs, at angela.schwab@oeaw.ac.at with the reference “application for Group Leader Position at OREA” no later than April 15, 2019. The Austrian Academy of Sciences values diversity and is committed to equality of opportunity.